Med in Japan held the seminar and language training as a part of “Project for Promoting Medical Tourism in Okinawa (Fiscal Year 2012)” in Okinawa on 5th of November 2012. 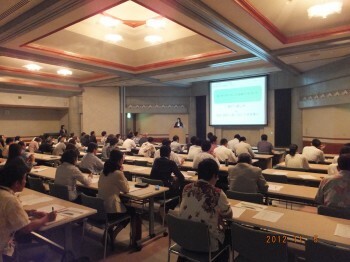 The first session was “Seminar on Medical System for Foreign Travelers.” Approximately 70 audiences were comprised of the medical sectors and tourism sectors in Okinawa. At the second session, Med in Japan introduced the role-play practices as well as practical language trainings (English and Chinese). Med in Japan is seeking to contribute to the successful development of the local medical services through conducting such trainings and seminars.